CUSTOM FEATURES THROUGHOUT this lovely 3 BR/3BA home on corner lot including a beautiful open floor plan with custom designed hardwood floors, gas insert FP, large kitchen with granite, lg pantry & custom built cabinets throughout. 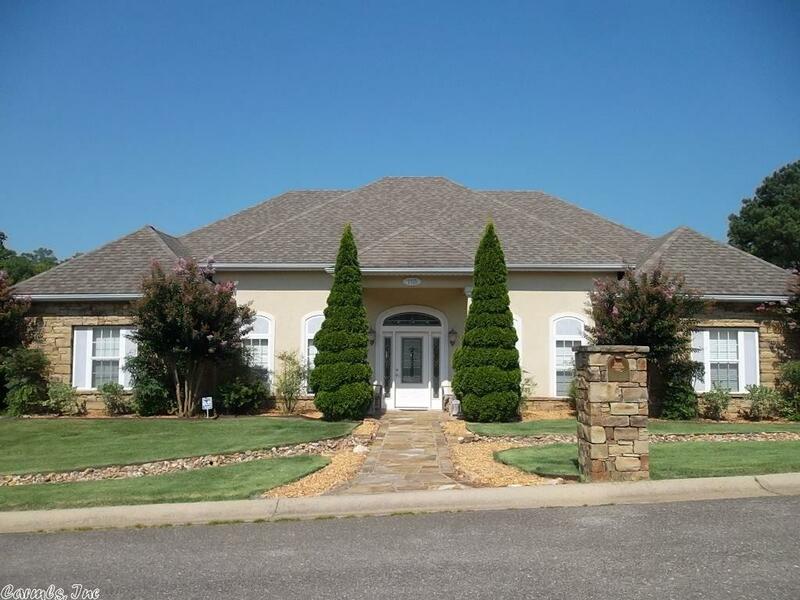 Large walk-in closets & master suite, large shower & jetted tub. Office can be converted to 4th bedroom. Custom wood blinds, tankless wtr htr, central vac, retractable awnings, 3 car garage, sprinkler system. 1 yr Home Warranty. Lake Hamilton schools. Owner licensed agent.